The HSEQ work in Alustar is a leadership responsibility which drives the company’s vision and business ethics. The HSEQ policy creates a safe and healthy workplace, protecting the environment and company assets. We will consider health, environment and safety in all work. The management is responsible for implementing the policy in all work and business. HESQ requirements and procedures is described in our quality management system. HSEQ performance is reported and analyzed using incidence reporting. The goal of the reporting is to improve the process and ensure the safety of personnel and assets. All employees at Alustar have a common responsibility to work by the HMSK policy. Together we can create a safe and secure workplace. Personal knowledge and attitude in work performance ensures that no damage is done on personnel, assets or environment. 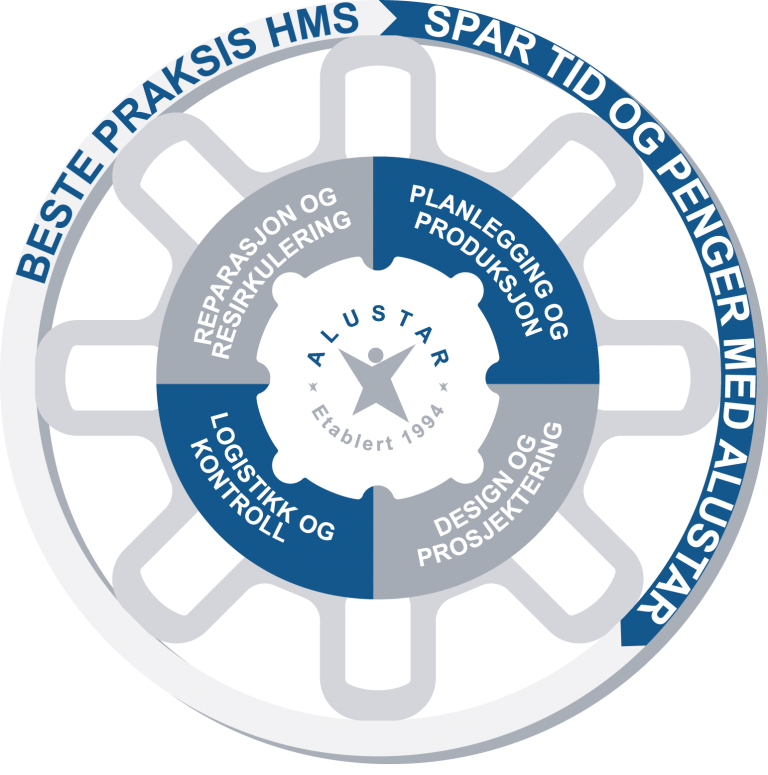 The management system of Alustar is ISO 9001:2008 approved, with yearly recertification. In addition, the company is a member of the Confederation of Norwegian Enterprise (NHO )and the Norwegian Scaffolders Association (SEF). Alustar is a non-contracting member of the National Access and Scaffolding Confederation (NASC). NASC performs bi-yearly reviews of our products and production line with regards to processes and material quality. The aluminum system scaffold results in increased productivity due to halved weight, increased strength and improved coverage. The system has great flexibility and easy to understand construction. The system scaffold gives great return of investment in the health and safety of both scaffolders and users. The product has a long life, and is recyclable – ensuring the best possible solution for the environment. 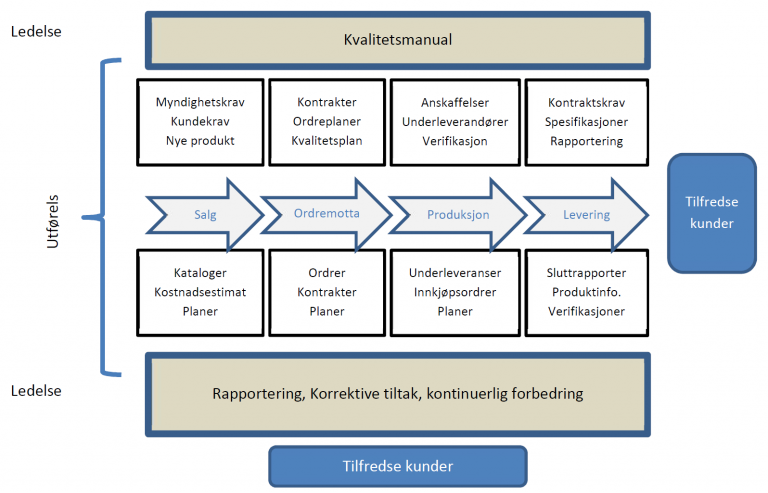 The Alustar management system is described in the figure below.